Looking for a long term IT specialist for your enterprise then you can rely on our wealth of experience and knowledge in the area of Information Technology. We have sourced long-term placements for clients who had a contractual requirement. Whatever your commitment to your clients, ours is that we will source and supply the very best candidate for your needs. Atlas International Technology Services Inc is proud to provide long-term Field Engineers for our clients globally. Atlas accepts applications from only the top, most experienced Engineers. These candidates are thoroughly screened and tested to meet our most exacting standards. To work in a long-term placement, Engineers are required to make a minimum one year commitment, but many stay in their positions for much longer. Recognized as an industry leader in recruitment for all Information technology positions, Atlas recruiters have the experience and skills to fulfill your long term or permanent placement needs. Using our accelerated approach, and proven Atlas methodology, we will locate the best candidate and assure their skill level prior to dispatching them to your organization. Why Consider Long Term Placement? 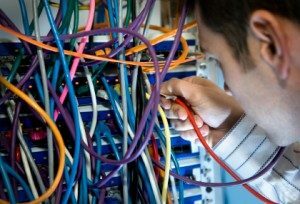 Job descriptions in fields like network administration and network engineering tend to lean heavily on buzzwords and phrases like “high-level management,” “hardware evaluation,” and “network configuration.” In truth, though, no two corporate networks are quite alike, and most of a company’s network procedures will have been ironed out through a long-term tailoring process. No 2 corporate networks are identical. Because of this even the most educated, experienced Network Engineer needs time to grasp the intricacies of your needs and supply your organization with the service you deserve. Because of this Long Term Placement is the best option for many of our clients.